I realized that math was really getting nitty gritty now. No longer could my daughter watch the DVD, do the lesson, and then have me correct where she went wrong. Because this time when she went wrong, I didn’t know how to fix it. I didn’t understand this stuff myself! And then it hit me. 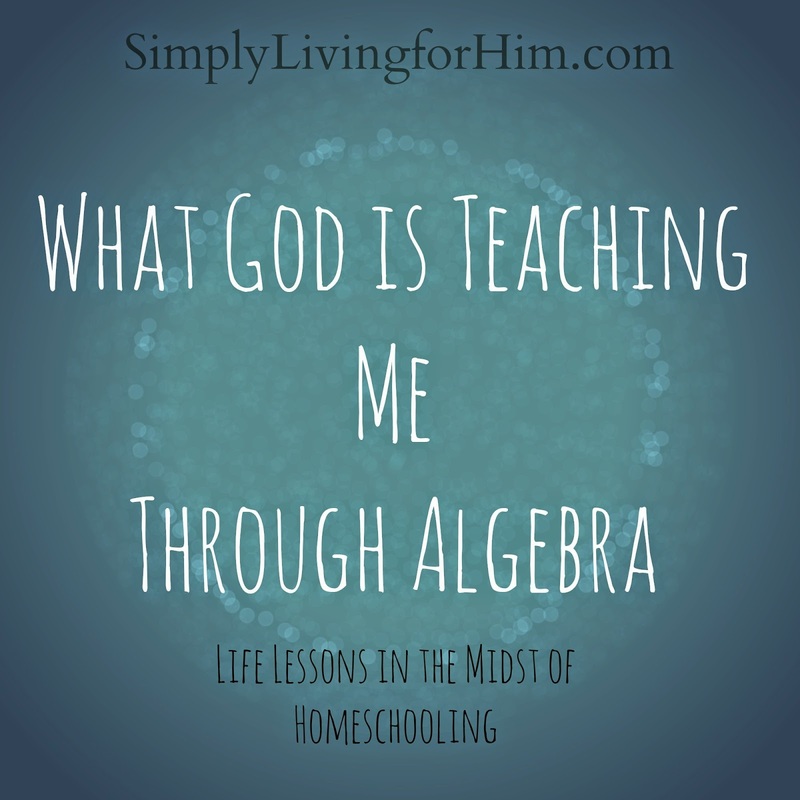 God is always, always teaching me through homeschool…and so much more than Algebra…. And then, one day we are back in that place where life gets hard. And He needs to reteach us lessons from the past. We no longer can just get through it with what we think we know…we need to go back and relearn the lessons. Like Algebra. So, maybe relearning Algebra isn’t really about Algebra for me. It is about recognizing God in so many things. He teaches us the hard lessons, and sometimes we need to go through them again so we can get close to the teacher again and really listen in. We need to relearn hard lessons to grow. So today, I am grateful for Algebra. I am grateful that I am relearning something from the past, and have recognized the simple lesson He is teaching me. Sometimes, the second time around is the time that matters.